We thought we knew it all. We thought we could handle it. 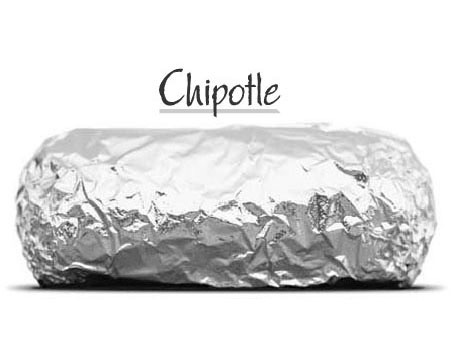 Every Chipotle inside the Beltway. We were young, hungry, and proud. It began because PicantePants had a dream. Aaron was in, if the guacamole flowed a green river to obesity. Phil Raintree jumped at the chance to check out dish-washing stations, and maybe sip a margarita or two. We didn’t know. We were so young. We didn’t know. Join us on this journey, this carnitas-soaked cruise around DC, picking and burritos and wolfing down barbacoa. It’s going to be something special. If we don’t make it through, bury us with pinto beans, cheese, and lettuce, but hold the sour cream. Wow – this is fantastic – I love the idea, I think I may have hit up all of these already, but who can ever get enough Chipotle?!? Bravo, friend in foil.